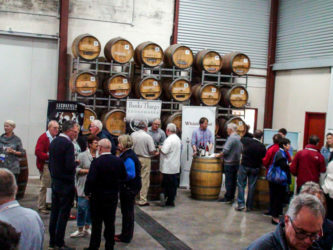 The Mount Gambier Beefsteak & Burgundy Club celebrated a Australia wide unique event last Friday at their AGM held at The Barn . 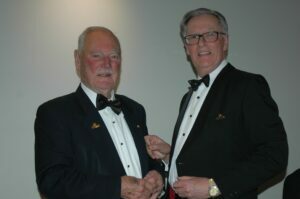 The Club has not one, but two members of the Club who have been members for over 50 years, the only Club in Australia to be able to claim that honour. Charlie Miller was presented with a specially struck 55 year membership medal by long serving Life Member Colin Martin who spoke of the Club’s long and interesting history and the inextricable part that Charlie played in it. 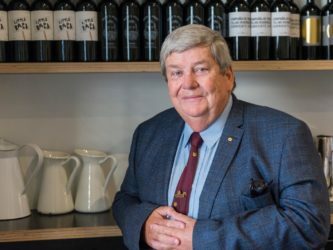 Colin said that Charlie ”was one in a million” and that the Club was “all the richer for his years of wine knowledge and participation and education of younger members”. In turn Charlie told of the early days of the Club and his shared times with local founders of the wine industry , in particular Eric Brand, a long time friend. 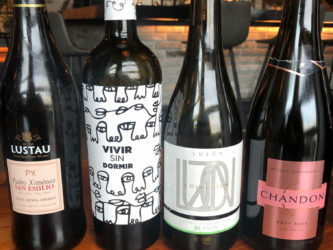 Charlie also said “that I have put into my own cellar some very nice wines which I will share with you fellows on my 100th birthday”. We all look forward immensely to sharing that day with Charlie. Of course only slightly ‘over shadowed’ by Charlie is 53 year member Bob Jenkins. Bob has also been a stalwart of the Club and the second member of B&B Nationally to receive a specially struck 50 year medallion. Bob is also a fantastic character who is lovingly renowned in the Club for his now famous first encounter with a large dose of Wasabi sauce at one of the B&B dinners. “What the hell was that !” he exclaimed as he struggled to get his breath back and regain his composure. 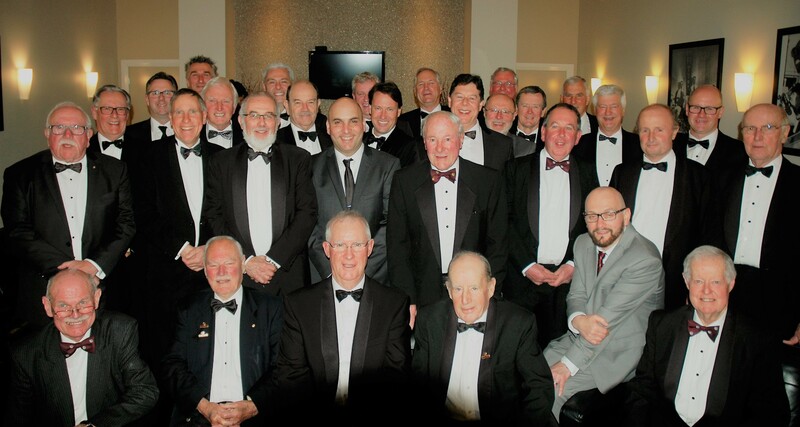 “The Club will be in its 60th year next year and membership is strong and sustained. 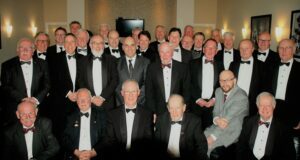 With members like Charlie and Bob and a good many long serving members not far behind in years service we look forward to continuing to set membership records.” .. Club Secretary said Bill Russon said.